Brian VanArsdale is a New York-based saxophonist and composer whose music combines the beauty and form of previous generations with a splash of the current direction and cutting edge articism - creating a product that is appealing to both listeners and jazz critics alike. Originally from the southern United States, Brian attended school at the University of Illinois, University of North Florida, and Eastman School of Music, where he was twice recognized with awards for best performer. Brian was the recipient of five DOWNBEAT awards for his playing and writing, and twice performed at the East Coast Jazz Festival and IAJE Annual Convention. Brian's playing and composing can be heard on the University of North Florida's award winning albums Things to Come and Second Thoughts. 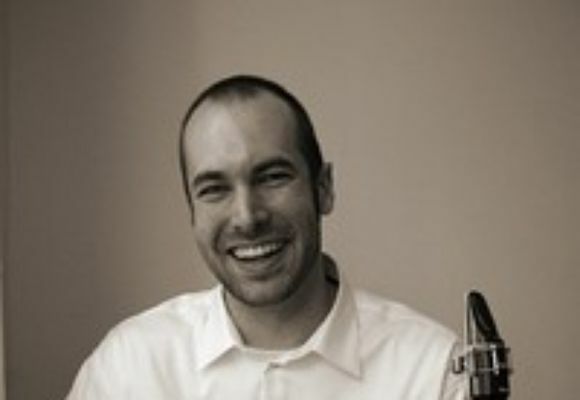 Professionally, Brian has been a participant in the Steans Institute for Young Artists at the Ravinia Festival in Chicago Illinois, and in 2003 he was selected as one of the top 15 jazz composers under the age of 30 by ASCAP. Brian has released three commercial albums-each with different ensembles and varied subject matters. The first, The Flood, featured the Brian VanArsdale Orchestra performing a five movement piece written to interpret the flood story' (most commonly known as the story of Noah and the Ark from the bible). This album received great critical acclaim, including a ranking by the Sunday Herald Sun of Melbourne, Australia as the number six best CD of 2005, with critic Kenny Weir calling the work a sprawling epic that surges and swirls. Brian's second release, Cryptography, featured Brian in a trio setting with bass and drums. The album features five originals, along with three reinterpreted standards, and a composition by Bunky Green that was written for Brian. Both albums are available worldwide from most popular outlets. Brian's newest release, featuring his quintet is entitled From the Heart. The album features Clay Jenkins, Mamiko Kitaura, Dan Loomis, Ivan Ike' Sturm, and Jared Schonig, and attempts to take a fresh look at the classic quintet instrumentation in jazz. This album, released November, 2007 on Jazz Excursion Records, is receiving radio play all over the country, along with acclaim from critic and casual listener alike. Brian's playing and writing can also be heard on The Dan Loomis Quartet's newest album I Love Paris, also on the Jazz Excursion Records label.